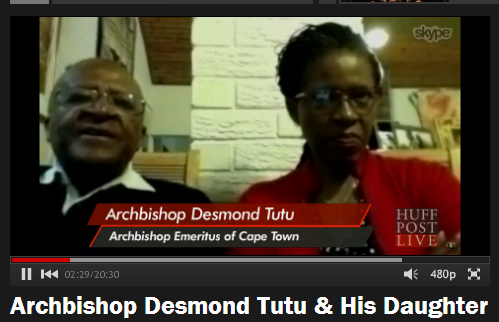 On April 29th, the Archbishop Desmond Tutu and his daughter, the Reverend Mpho Tutu were invited to Huffington Post Live to talk about their new book, The Book of Forgiving. Pamay Bassey from The My 52 Weeks of Worship Project had the honor of asking them a question, which is part of this video as well. Watch the video and share your thoughts: What do you think about forgiveness? What is difficult about forgiveness? What can one gain from forgiving others?